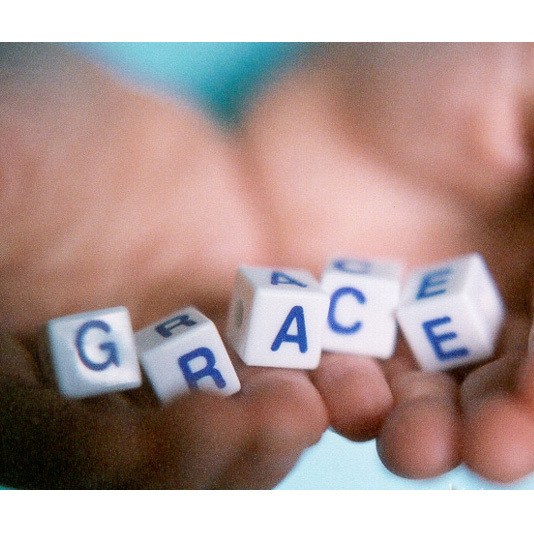 Titus 2:11-12 (CJB) 11 For God’s grace, which brings deliverance, has appeared to all people. Yesterday, we tackled the 1st half of verse 12 – the part we are supposed to refuse to do or be part of. Today, we tackle the 2nd half of verse 12 – the part that tells us how we are SHOULD act and be. We start with the word live or as it is in the Greek zaō. However, it may not mean exactly what you think. To live, be alive, be well, recover. Zaō is the verb form of zōē (2205), “life,” and means “I live.” In classical and Hellenistic Greek the word for life in the noun form of zōē has many complex uses: theological, philosophical, metaphoric, literal, and figurative. The verb form (although often touching on these same concepts) is basically more limited in scope to some action or being of life. To the Greek “to live” was both literal existence and quality of existence. The ideas of happiness and purpose are involved in the latter (Bultmann, “zaō,” Kittel, 2:832ff.). In the Old Testament “to live” was the supreme good. Thus, a long life was the universal goal. All other strivings (morality, wisdom, riches, etc.) were only a means to this goal. Similarly in Judaism “to live” means “to be or become healthy” or “to be delivered.” Long life, although the ultimate reward for good, is only precious when healthy and happy. In the New Testament zaō can refer to physical life (and often in the Old Testament sense), or it can refer to spiritual existence. When zaō is used of spiritual life, it is joined with many other words to help shape its meaning—such as being with or in Christ or God, with power, good, faith, love, light, and holiness. It is also contrasted with separation from Christ or God, evil, powerlessness, death, darkness, hate, unbelief, and sin. Thoralf Gilbrant, ed., “2180. ζάω,” in The Complete Biblical Library Greek-English Dictionary – Zeta-Kappa, (Springfield, MO: Complete Biblical Library, 1991), WORDsearch CROSS e-book, Under: “2180. Î¶á½±Ï‰”. The tree of “life.” The Greek word zaō in this our study verse is in reference to and informed by the Hebrew word chayyîm in the above verse which is the plural of the Hebrew word chay. One nuance has to do with lifespan, the period during which a person is in the state of living. It refers to a point in one’s lifespan (e.g., “in the six hundredth year of Noah’s life,” Gen. 7:11), the entirety of one’s life (“while your wife is living,” Lev. 18:18) and life beyond the earthly existence (“some to everlasting life,” Dan. 12:2). Chay is used to designate the state of being alive (Gen. 27:46), often contrasted with the state of being dead (Deut. 30:15; Jer. 8:3). Further, when it is compounded with other nouns, chay can refer to quality of life, e.g., “the way of life” (Jer. 21:8; Prov. 5:6). The names of the righteous are recorded in the “book of life” (Isa. 4:3). Upon the advent of the Pharaoh who did not know Joseph, the Egyptians “made [the Israelites’] lives bitter” (Exo. 1:14). Although many scholars hold that there is a special nuance to chay which expresses this concept, it is clear that the noun never appears alone, deriving its meaning from construction with other nouns. Chay is also used adjectivally. As with the nominal function, the adjective is widely attested in Northwest and South Semitic. It usually means “living” or “alive.” It can refer to an individual’s lifespan, e.g., “when he was living” (the offspring of David and Bathsheba’s affair, 2 Sam. 12:18). Chay can refer to society, “the land of the living,” especially contrasted to the world of the dead (Ezek. 26:20). It can refer to the state of being alive, as in capturing an enemy “alive” (Josh. 8:23). The adjective can also be used in a number of constructions. Running water or well water is called “living water,” as opposed to water collected in a cistern (Zech. 14:8, metaphorically; Gen. 26:19). Raw meat is called “living” (as opposed to boiled, 1 Sam. 2:15). This nuance is attested in Jewish Aramaic as well. The same nuance is found in Lev. 13, detailing skin ailments, as the exposed internal flesh is described by this adjective. Further, all living creatures are generically described by this adjective (Gen. 1:20; Ezek. 47:9; this meaning is also attested in Middle Hebrew). Another usage is an idiom meaning “at this time next year” (Gen. 18:10). This phrase is similar to an Akkadian synonym (ana balat). The view is that the year runs cyclically, much as running water is “living.” As with living water, time is understood to be constant, never stopping, never ceasing. Yahweh is often modified by chay, as He is understood not merely to be living, but never ceasing. Like time, Yahweh does not cease. Indeed, the epithet of “eternal life” is assigned to Yahweh (Dan. 12:7). He describes himself in an oath formula, “as surely as I live forever” (Deut. 32:40). Living, as opposed to not possessing life, is a contrast between Yahweh and other gods (1 Sam. 17:26; Ps. 18:46). The psalmist cries out, “As the deer pants for streams of water, so my soul pants for you, O God; My soul thirsts for God, for the living God” (Ps. 42:1f). Just as the deer needs water that does not fail to sustain its life, so do all humans need God, Who does not fail, to sustain their own lives. Yahweh not only lives, but supplies the needs of all who seek Him. Thoralf Gilbrant, ed., “2508,” in The Complete Biblical Library Hebrew-English Dictionary – Heth-Yodh, (Springfield, IL: World Library Press, Inc., 1998), WORDsearch CROSS e-book, Under: “2508”. You may not see the point of going back to the Hebrew for a Greek word. You may think that this is unnecessary. Is it? You see, the Hebrew understanding of life or “to be” is not just concerned with life here and now, it is concerned with the afterlife as well. Maybe Shakespeare understood a little about the Judaic understanding of life. Maybe it was nothing more than Greek Philosophy to him. But it is a good analogy of what “life” or chayyîmmeans. It is a central tenet to the biblical text. To live for God is to have life everlasting. To live for self is to have no life because it leads to death. It is about the WAY that we live our life – a life that is a gift from God himself! In juxtaposition, separation from God is NOT life. The fall – sin – separated us from life. The Messiah Yeshua gives us life – He is our hope for those that call upon Him for their salvation and are willing to die to self – more directly an to the point – to die to the world – a world with the same value system as its master – the great deceiver – the destroyer of souls. So how do we fill in the blank in this verse? Simple really. In everything we do, HE should be the reason we do it. Living life should be a life lived for God! Does a slave have its own desires, its own thoughts? No! He only has his master’s thoughts and his master’s desires. We were BOUGHT for a price! We are the property of Yeshua Ha’Mashiach! “To be” should be a “bended knee” towards God. Let’s pause here for a second and be still. Let’s continue to the next significant word which is self-controlled or sōphronōs as it is in the Greek. Soberly, temperately, with moderation, showing self-control. This word occurs only once in the Septuagint (Wisdom of Solomon 9:11) and once in the New Testament (Titus 2:12). The apocryphal reference indicates the “prudent” manner in which wisdom will lead, while sōphronōs in Titus describes the life of “self-control” taught by the grace of God. It is one of three adverbs used by Paul to indicate what manner of life Christians are to lead in this present age. It should be characterized by sōphronōs, “self-control”; dikaiōs (1339B), “uprightness”; and eusebōs (2134), “godliness.” This entire word group conveys the idea of “sane, sensible, in one’s right mind.” It pictures a person who is well-balanced, who has all aspects of his life under control and in proper relationship. Thoralf Gilbrant, ed., “4848. σωφρόνως,” in The Complete Biblical Library Greek-English Dictionary – Sigma-Omega, (Springfield, MO: Complete Biblical Library, 1991), WORDsearch CROSS e-book, Under: “4848. ÏƒÏ‰Ï†Ïá½¹Î½Ï‰Ï‚”. J. H. Thayer, trans., Greek-English Lexicon of the New Testament, (New York: Harper & Brothers, 1889), s.v. “,” WORDsearch CROSS e-book. With this understanding, how do we fill in the blank in the following? The next Greek word is dikaiōs which means upright. What is the biblical understanding of the word upright? This is the adverbial form in the dikaios (1335B) word group meaning “truly” or “with reason, justly, uprightly.” It occurs both in classical and secular sources from the time of Homer (see Bauer). The Septuagint’s usage is sporadic. Eight of its 13 occurrences are found outside the canon (e.g., Wisdom of Solomon, Sirach, and the Maccabean writings). Of its five canonical appearances it means “rightly, correctly” most of the time (of judgment, Deuteronomy 1:16; with justice, Proverbs 31:9, Hebrew tsedeq; cf. Wisdom of Solomon 9:12; Sirach 35:18 [LXX 32:18]; Genesis 27:36, Hebrew hakhiy, “truly”). Five texts read dikaiōs in the New Testament. Only Luke used dikaiōs in the Gospels (23:41). One of the thieves being crucified with Jesus considered his own punishment “just” (cf. 1 Peter 2:23). First Thessalonians (2:10) and Titus (2:12) use dikaiōs in reference to the conduct and life-style that are to mark believers’ lives. They are to live “soberly, righteously (dikaiōs), and godly (eusebōs )” (Titus 2:12). Paul (1 Corinthians 15:34) used dikaiōs of “coming to one’s correct senses” (i.e., “right mind,” RSV). Thoralf Gilbrant, ed., “1339B. δικαίως,” in The Complete Biblical Library Greek-English Dictionary – Delta-Epsilon, (Springfield, MO: Complete Biblical Library, 1991), WORDsearch CROSS e-book, Under: “1339B. Î´Î¹ÎºÎ±á½·Ï‰Ï‚”. To live correctly means that there is a RIGHT way to live and a WRONG way to live! 1 Corinthians 15:34 (CJB) 34 Come to your senses! Live righteously and stop sinning! A facepalm (sometimes also face-palm or face palm) is the physical gesture of placing one’s hand flat across one’s face or lowering one’s face into one’s hand or hands. The gesture is found in many cultures as a display of frustration, embarrassment, shock, or surprise. Let’s go back to part one of this 3 part series: THE LARGEST CHURCH (EKKLISIA) IN AMERICA. I will ask a single question and a single follow up question. “Does it go through the “wide gate” on the broad road or does it go in through the narrow gate and the hard road that leads to life? I know, I know, I know! Pharisee! Legalist! Religion Keeper! You know, I suspect the anger that is directed at me this way is unavoidable. I didn’t write the text and not many people have the chutzpah to be angry with God for what He wrote. It is easier to be angry (and safer) with the people that point it out. Think about it, when the prophets delivered their messages, the people got angry – killed them! A prophet speaks for God. They didn’t voice their anger directly to God, which if the truth be known, was probably a form or cowardice. I am NOT a prophet. I do not speak FOR God. I just point out what his WORD ALREADY SAYS without rationalization. Let’s go to the next significant word which is godly. In a godly manner, piously, religiously. Found only in the Pastoral Epistles (2 Timothy 3:12; Titus 2:12), this adverb is derived from the word sebomai (4431) which means “fall back before,” or “shrink from” out of fear and respect. This stance would be evoked by confronting a parent, a deity, or any other superior. It is significant that the term is qualified in 2 Timothy 3:12 (“All that will live godly in Christ Jesus . . . ”), for a person could be “godly” with respect to any god or object of devotion. The focus in the Pastorals is on that way and character of life customary to the gospel. By itself eusebōs cannot adequately describe this particular life-style, which is why it is surrounded by words and phrases that illustrate its meaning (cf. 2 Timothy 4:10f. ; Titus 2:12ff.). Thoralf Gilbrant, ed., “2134. εὐσεβῶς,” in The Complete Biblical Library Greek-English Dictionary – Delta-Epsilon, (Springfield, MO: Complete Biblical Library, 1991), WORDsearch CROSS e-book, Under: “2134. Îµá½ÏƒÎµÎ²á¿¶Ï‚”. Did you notice that the word eusebōs can NOT adequately describe this particular lifestyle in a single word? Another word that comes to mind that is like this is chesedh which is known as loving-kindness – Grace. Remember the beginning of this verse? I’ll bet some of you are lost in thought right about now. It is God’s chesedh which teaches us to renounce worldliness. There is no mistaking that from the text above. Remember, chesedh informs charis. That leaves us with our last Greek word aiōn or age. An indefinitely long period of time, eternity, earliest times; age, era; world, material universe. … From this perspective the words attain an ethical meaning. The term aiōn idiomatically expresses what one might refer to as “the spirit of the age,” the spiritual philosophies and ideologies which dominate any period. To paraphrase Trench: All of this—the fleeting mass of thoughts, the opinions, maxims, speculations, hope, impulses, aims, aspirations, which always circulate in the world—is included in the meaning of the term. It might be impossible to grasp it or define it accurately, but it is something which forms a very real and effective power. It is the moral or amoral atmosphere which we inhale each moment of our life in order to inevitably exhale it again. All this is included in aiōn (Synonyms of the New Testament, p.204). If one looks at the texts of the New Testament where aiōn occurs in this way, one will meet the characteristic features of the world or age represented by aiōn. Note that this depicts a world which is driven forward by the prince of the powers of the air (Ephesians 2:2), the god of this age (2 Corinthians 4:4); and spiritual forces are called the powers of this dark world (Ephesians 6:12; cf. 1 Corinthians 2:6,8; and see 2 Peter 2:17; Jude 13). The present age cherishes its wise men (1 Corinthians 1:20) and its seducing wisdom (1 Corinthians 2:6). Many are blinded by this wisdom so they choose it rather than “the foolishness of preaching” (1 Corinthians 1:21). The anxieties accompanying this age, coupled with the seductive power of riches, can strangle a spiritual life (Matthew 13:22; Mark 4:19; 1 Timothy 6:17). The people of God can be seduced by this false splendor so they are attracted by the present world (2 Timothy 4:10). But those belonging to the Lord must not be conformed to this world (Romans 12:2). To stand in opposition to the world will always cost something because those who want to live godly will be persecuted (2 Timothy 3:12). Believers have been delivered from this present age, with its enticements and offsetting afflictions, through Christ’s giving of himself in death (Galatians 1:4). This present age will come to its end. In fact, the time of the end is already present. Jesus has “once in the end of the world hath appeared to put away sin by the sacrifice of himself” (Hebrews 9:26). The community of faith in the New Testament, which is first and foremost eschatological, lives in the last days (Acts 2:17). The Lord has promised to be with His people always, until the end of the age (Matthew 28:20). The signs of the times warn of the end of the age and herald the return of the Lord (Matthew 24:3f.). And when the end comes, the Son of Man will send out His angels to separate the just from the wicked (Matthew 13:36-43). As distinct from this present age stands the world to come (ho aiōnho mellōn or ho aiōn erchomenos). Those who for Christ’s sake and for the sake of the gospel have left family and property will receive the gift of eternal life (Mark 10:30; Luke 18:30). Thus the age to come is the realm of zoēn aiōnion, “eternal life,” and it must consequently be of eternal duration. Only redeemed mankind will share in the inheritance through the resurrection of the dead (Luke 20:35). In this new existence God will demonstrate His exceeding goodness, “the exceeding riches of his grace, in his kindness toward us, through Christ Jesus” (Ephesians 2:7). For the one who believes in Christ the eternal life of the age to come has already been initiated; therefore, it can be said that he has tasted “the powers of the world/age to come” (Hebrews 6:5; cf. Ephesians 1:13ff.). . .
Thoralf Gilbrant, ed., “163. αἰών,” in The Complete Biblical Library Greek-English Dictionary – Alpha-Gamma, (Springfield, MO: Complete Biblical Library, 1991), WORDsearch CROSS e-book, Under: “163. Î±á¼°á½½Î½”. There is little doubt when we read this that we are talking about an age and its values combined – a system ruled by the prince of darkness – that shares his values – that reveres him. We are also talking about an age of immorality in juxtaposition to a coming age in which the Messiah will rule. Our original verse we were expounding from may not look at all like what we came up with, but if you read them one right after the other, they become very clear. This entry was posted in Living life Even if . . ., Verses and tagged bible, Christian, even if, Titus 2:12, worldliness. Bookmark the permalink.